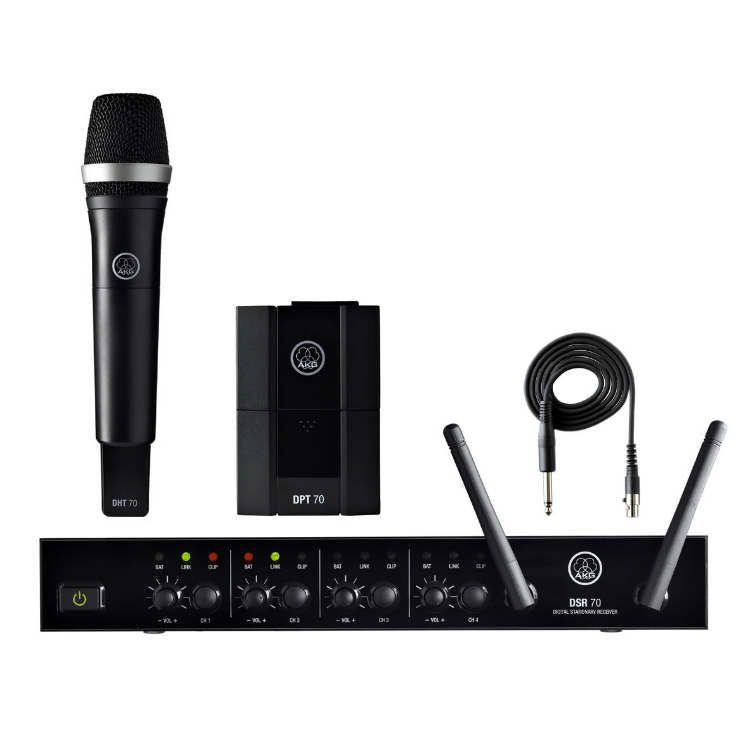 AKG DMS70 Wireless Vocal and Instrument Microphone Rental in Miamithe AKG DMS70 is available for rentalfrom DJ Peoples in South Florida. 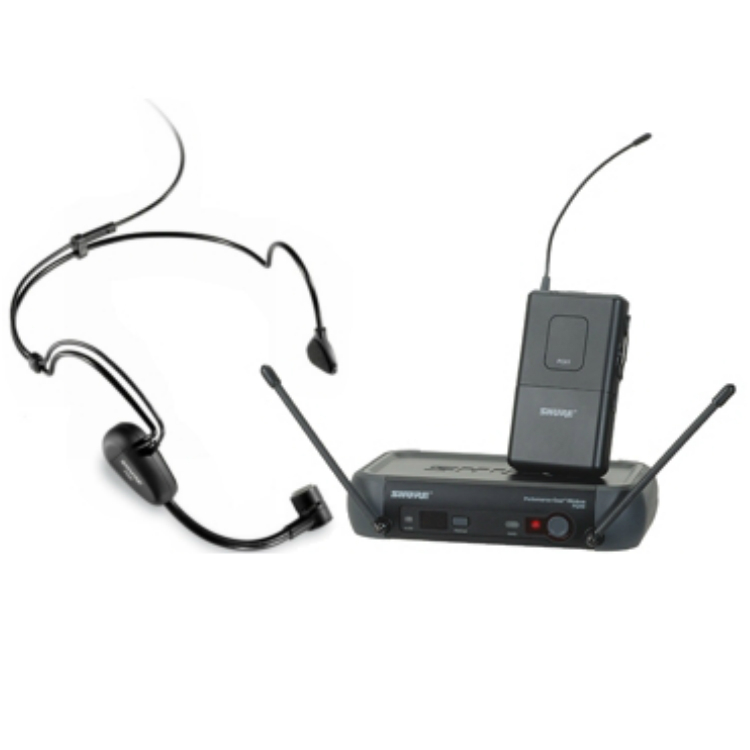 This wireless system includes both mics and instrument bodypacks that will allow for musicians to also have freedom from cables while performing. Your music will gain the crisp focus that separates the professionals from the hobbyists. 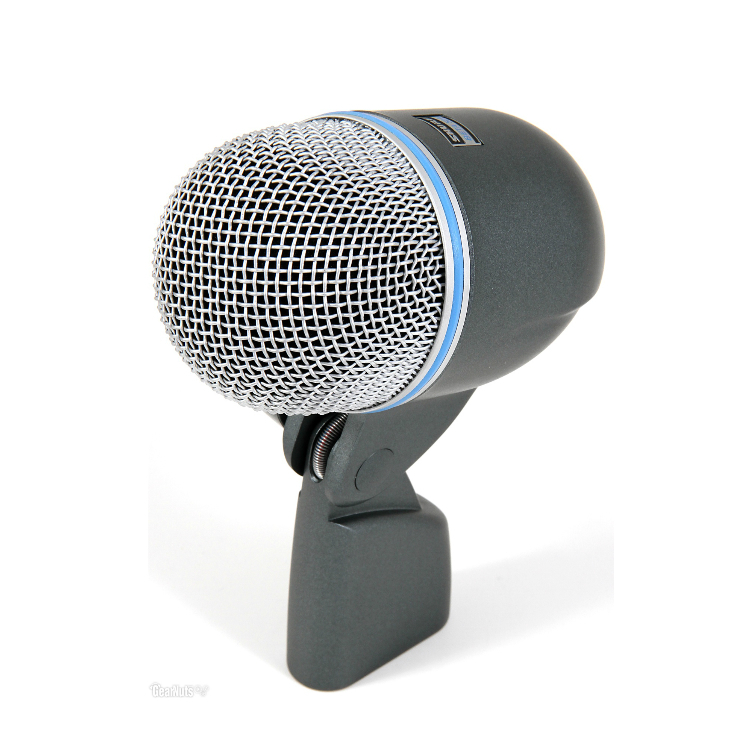 On the AKG DMS70, wind and breath sounds are minimized, cutting down on ambient noise that can ruin recorded tracks and possibly damage live sound equipment. A tried-and-true internal shockmount also cleans up your performance by reducing handling noise. 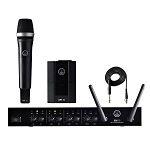 Those loud creaks and pops that result from pulling the mic out of its clip or adjusting its position can be completely avoided with the AKG DMS70. 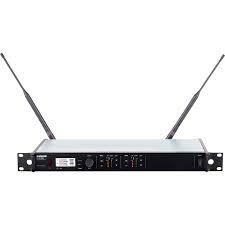 Plus, floor vibrations won’t enter the signal stream when the AKG DMS70 is mounted on a stand. Clean tracks always sit better in the mix, giving them their own space and texture. 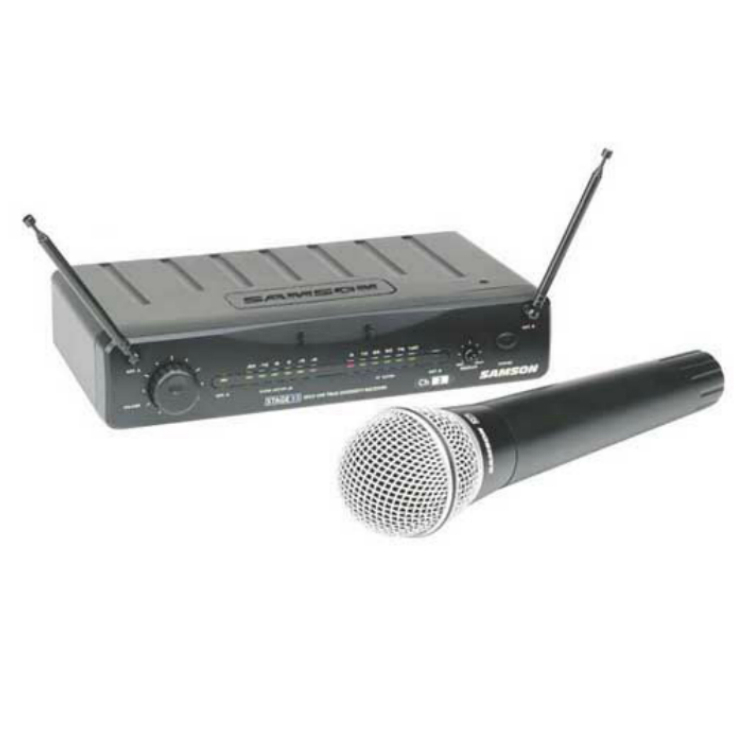 You’ll be surprised at what pops out of your performance once the unwanted noise is gone.